Ample space for recreational & entertaining activities for Kids. The Hotel management just inaugurated a new all-season facility for all children. 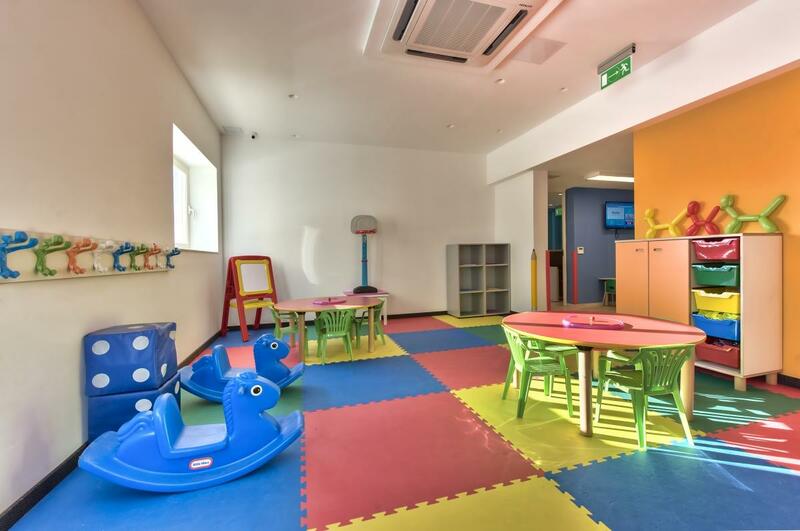 They offer ample space to organise fun and educational activities both indoors and outdoors. The db animation team will be organising various activities for all ages at these new facilities. The building is divided into sections consisting of a pirate boat with slides and 2 shallow pools on the top floor with deckchairs for parents and a colourful indoor space for games and activities. It also has a fully equipped interactive room for teens with PS4's, Nintendo Wii, Tablets and Smart TV's. The facility is also easily accessible to those people who have mobility limitations. This will provide a family holiday experience of a lifetime.